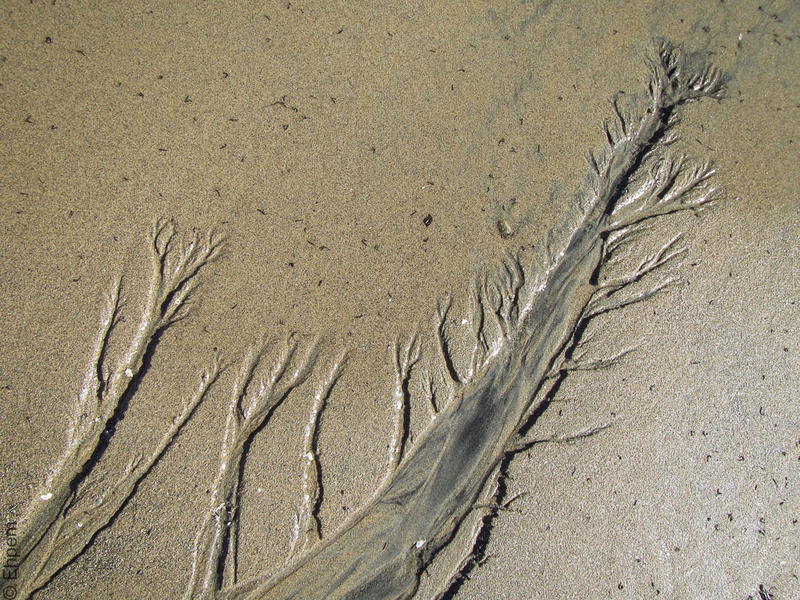 Water etched tree in the beach. On a beach in Wells Cove, Gwaii Haanas. This follows from Water Etching, a different view of the same spot. I like how you put that – suggesting both inscription and encryption which are equally well suited! I love it when the ocean gets all artistic! Hi Yvonne! Isn’t it great what water can and will do?